I have so much to catch up on in this blog! So much has happened in the last few months and I'm just happy to have a quiet weekend sipping green tea and burying my nose in a book. 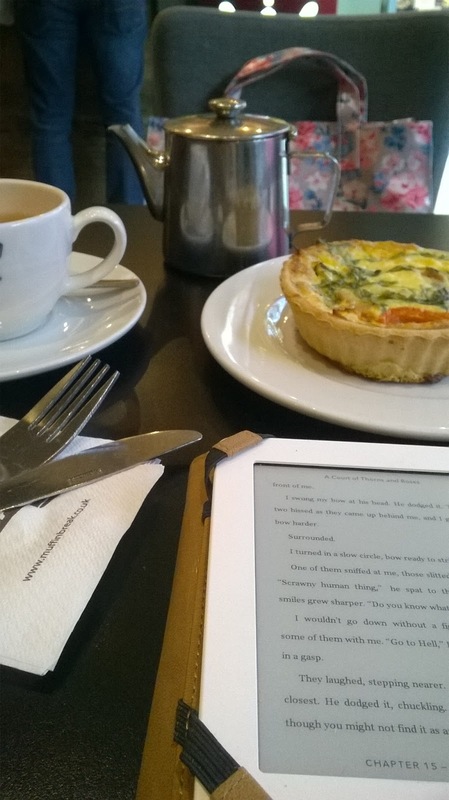 As always, Muffin Break at The Bullring is my go-to wind-down place. I really should come here more often. Quality, affordable food - and the place is pretty quiet, too, so it's good for some reading time! I had the Roast Tomato, Rocket and Ham Tartlet this time. I was having a sore throat and a runny nose so I was feeling up for something savoury rather than any of the cakes. All good - will come back next time for some sugary fix! I do miss having the mud pie. Mmm!